This past weekend local Rotarians pitched in to volunteer with Habitat for Humanity. Volunteers were tasked with the landscaping of this new home. 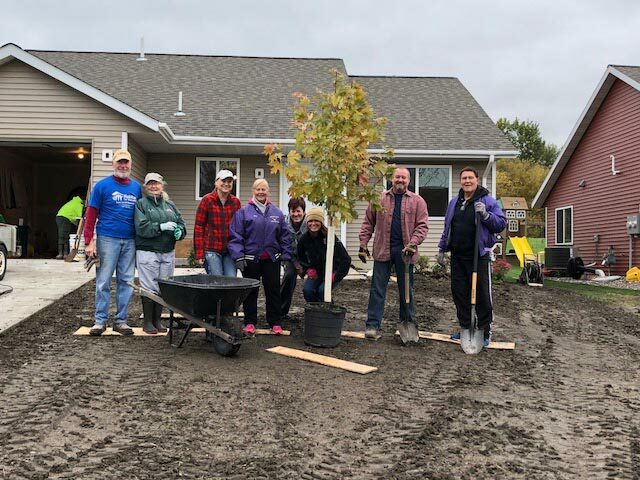 Rotary was pleased to also donate a new tree to the new home’s family, who were also onsite pitching in.